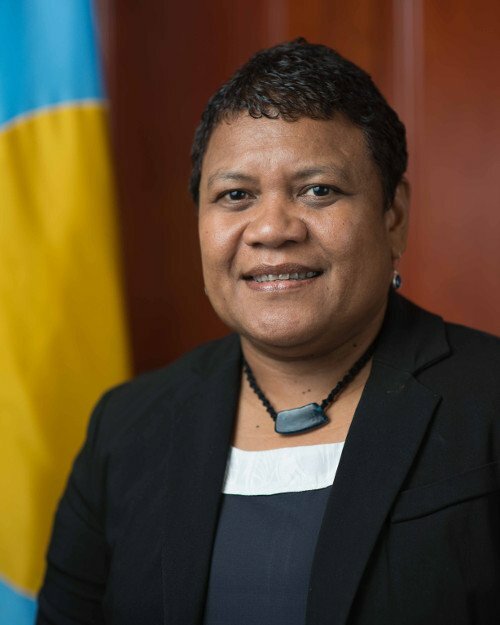 Since being appointed Palau’s Minister of Community and Cultural Affairs in 2013, Minister Baklai Temengil has utilised her platform to advocate for gender equality and fight for the empowerment of women in the western Pacific nation. She has taken on issues such as the lack of elected women in government as well as domestic violence and has helped to establish services to help victims. In March 2015, Minister Temengil addressed the 59th Commission on the Status of Women at the United Nations in New York , where she reaffirmed Palau’s commitment to the Beijing Declaration which advances the goals of equity, development and peace for all women everywhere, and gender equality in all dimensions of life. “Women are powerful agents of change and gender equality and women’s empowerment have a transformative and multiplier effect on sustainable development and is a driver for economic growth in Palau and in all the small island developing states,” she said in her statement to the Commission. In April 2017, Minister Temengil made history when she was elected Vice President of the Oceania National Olympic Committee in Nadi, Fiji. She is the first woman in the global Olympic movement to become a vice president of any regional Olympic committee. She has been the Secretary General of the Palau National Olympic Committee since 2000. She is a member of the Oceania National Olympic Committee Executive Board and a member of the Association of National Olympic Committee. Minister Temengil is also a member of the International Olympic Committee and Sports Commission including the Micronesian Games and Pacific Games Council. She was the Executive Director for all major games that Palau has hosted since 1998. Minister Temengil is a very active athlete and was a member of the Team Palau Women’s Canoe Team, which won gold at the 1998, 2002 and 2006 Micronesian Games . She is the current Treasurer of the Palau Canoe Association and the Sports Director for Canoe Programs. She actively participates and volunteers her time in helping other sports federations in their programs through her expert advice and guidance. She is committed to helping sports development at the national level as well as the Pacific region and promoting gender equality through sports. “I hope to see more and more women rise to senior positions within their sporting communities,” she says. She is also a wife and a mother; her daughters are members of the Palau National Swimming Team. Minister Temengil is still an active paddler and has picked up running these past few years joining marathons and triathlon events in Palau.